Historic downtown Hendersonville is the official home of the North Carolina Apple Festival, a four-day celebration in honor of the huge local apple crop. 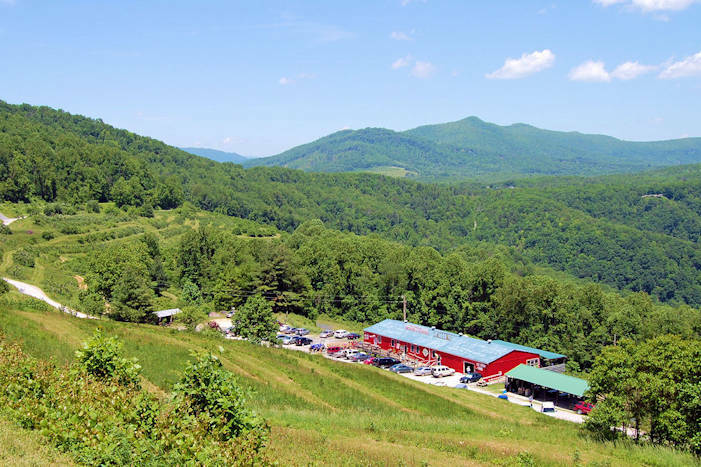 It's just a 30-minute drive from Asheville. 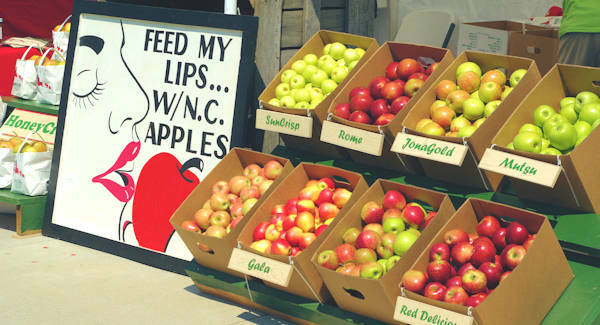 The NC Apple Festival features a street fair on beautiful Main Street including continuous live musical entertainment, arts & crafts, apple products, special exhibits, food, and the King Apple Parade. Capture the spirit of a hometown celebration that has something for the whole family, with many individual events and entertainers throughout the festival. 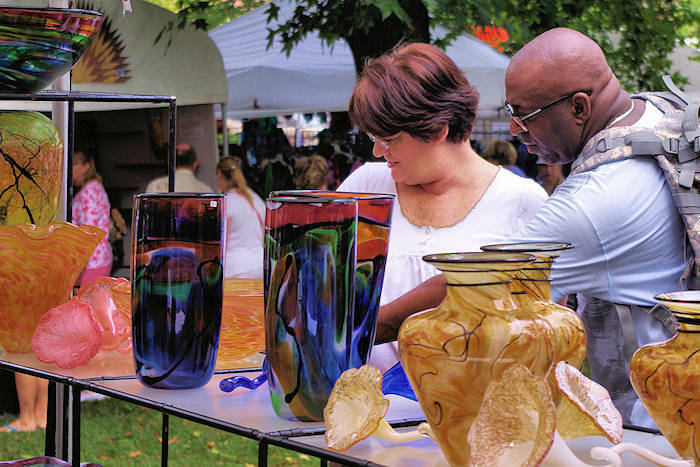 Enjoy pancake breakfasts, car shows, gem and mineral show, 8K and fun run, bike tour, apple orchard tours, apple recipe contest, sidewalk sales, arts and crafts show, and so much more! 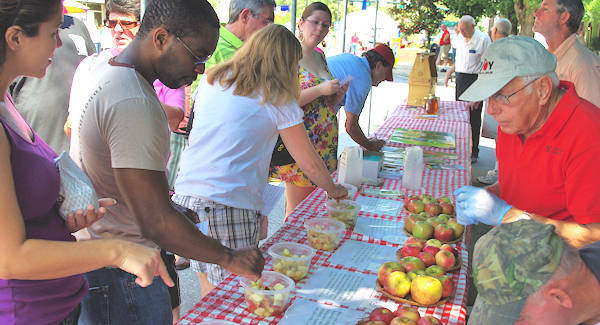 Taste the varieties of local apples to find your favorite! 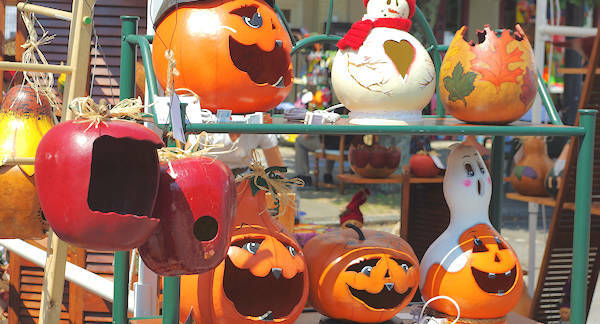 The Apple Festival’s Street Fair covers eight blocks of Main Street with more than 200 vendors, including many apple farms. Street Fair hours on Friday to Sunday are from 10 AM-8 PM (includes apple tasting booth). Live music continues until 10 PM on Friday and Sunday night and until 11 PM on Saturday in front of the historic Courthouse. Just 2.5 miles from downtown, the WNC Air Museum (1340 Gilbert St, Hendersonville) will have a special open house with antique airplanes all all free tours four days. Air Craft Rides are available Saturday-Monday in a variety of new and classic airplanes for $30-$60/seat for 15-minute scenic ride above town - no reservations needed. Open 10 AM-5 PM. 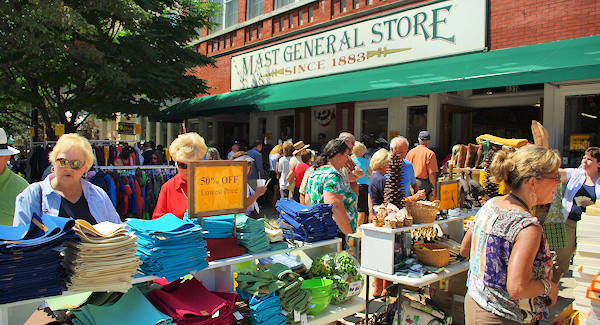 On Labor Day, a small street fair runs from 10 AM until the end of the big parade. The very popular King Apple Parade is Monday at 2:30 PM with professional floats, bands, youth groups, antique cars, fire trucks and many others. The festival is free to attend. No pets allowed. See more things to do on Labor Day Weekend. Plenty of art and craft to see and buy. North Carolina is the 7th largest apple-producing state in the nation and Henderson County is the largest apple-producing county in North Carolina - with 20+ varieties. There will be plenty of apples to buy at the festival! Directions from Asheville: Follow I-26 to Exit 49 (old Exit 18) for Hendersonville/US Highway 64 West to downtown Hendersonville, 2 miles from I-26. There are many parking lots within easy walking distance. Many non-profits rent parking places in various lots (including downtown churches) as a fundraiser. 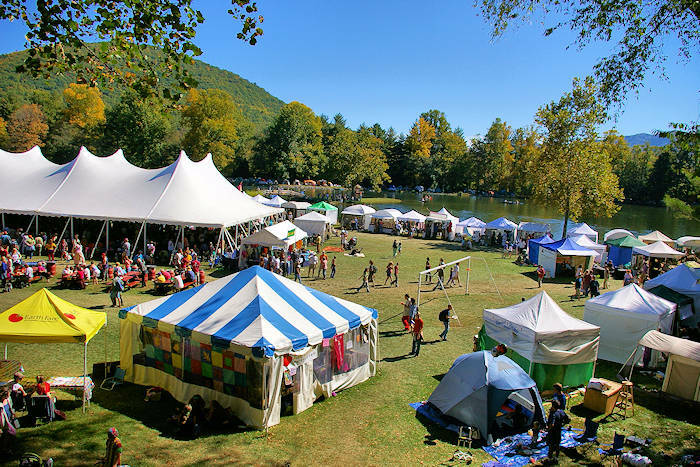 Go to the Festival Web site for a schedule of events. See our Hendersonville Guide for more things to do in the area. Visit many apple orchards near Hendersonville during your festival visit - or any time late summer and early fall! 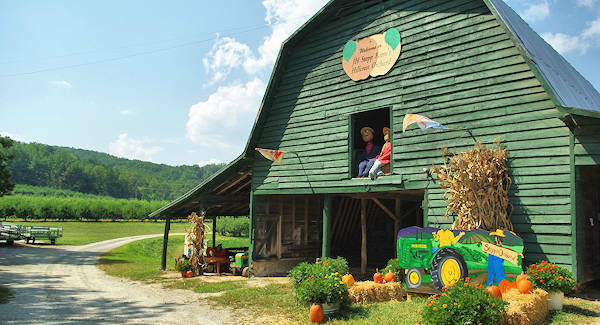 See our Hendersonville Apple Orchard Guide.